Curtis C. Lewis, 46, Norwalk, sunset on Saturday, March 30, 2019 in Fisher Titus Hospital, Norwalk. Curt was born February 2, 1973 in Detroit, Michigan to parents, Johnnie and Patrice Smith. Curt, as he was best known by to others, was affectionately called "BIG NOSE" by his family. He was a 1991 graduate of Edwin Denby High School, Detroit. Curt was formerly employed at Toft’s Dairy, KBI and Venture Packaging, all in Sandusky. He was also a truck driver for a period of time with his brother. Curt was an avid lover of the Michigan Wolverines and any other team that was in Michigan. He loved being with family and friends and he also loved cookouts where he was well known for his bar-b-que. Even though Curt had been sick for so long he still became an organ and tissue donor so others may live. 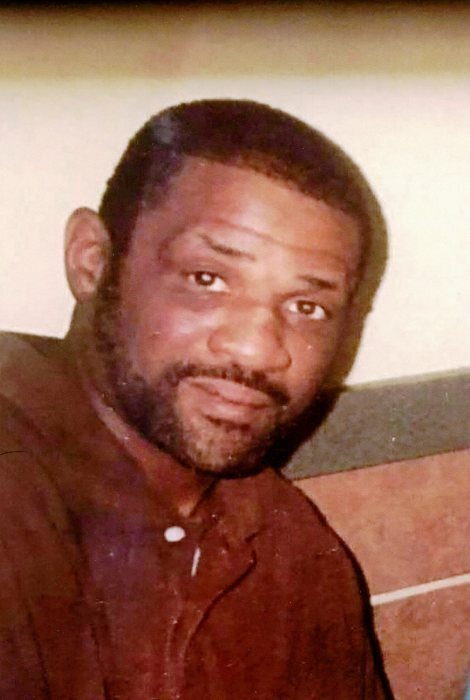 Curt is survived by his wife, Moeshay Lewis, Sandusky; parents, Johnnie and Patrice Smith, Sandusky; children, Curtis Lewis- Smith, Detroit, Michigan, Myles Ayden Lewis-Smith, Norwalk; step-children Kimberly Austin, Marcus Austin, Aaron Lippett, (North Carolina), Donshae Trussell and Markahl Trussell, Sandusky, Ohio; Sister, Tospre (Pre) Lewis, Sandusky and brother Johnny Smith, Sr., Sandusky; one grandchild, Jeremiah Wright Lewis-Smith, Xenia, Ohio. Special nieces; Alexus (Adonijah) Este, Louisiana, Azjaah Smith, Georgia; Jeigh Smith, Brooklyn Smith-Logan, and Jazmyn Smith (all in Sandusky, Ohio). One great nephew, Sakari Este, Louisiana and a host of other relatives and friends. He was preceded in death by his grandparents; Willie (Hannah) Smith, Ala.; Curtis Lewis, Detroit and Estella Sheffield, Detroit Hobert (Reba) White, Detroit, Mich.; nephew Johnny Smith, Jr., Sandusky and aunts Barbara Smith and Bernice Green. Friends may call on Friday, April 5, 2019 from 5:00 - 8:00 P.M. in Toft Funeral Home & Crematory, 2001 Columbus Ave., Sandusky and from 2pm until the time of the funeral services at 3pm on Saturday, April 6, 2019. Memorial contributions may be made in Curtis’s name to Toft Funeral Home & Crematory, 2001 Columbus Ave., Sandusky, to support the family.